The Craft of Governance is a podcast for current and future board members providing insight into life in the boardroom. Host Keith Meyer, president of the Directors Academy, sits down with board leaders and governance experts to discuss critical boardroom issues and best practices. Join us the second Thursday of each month to listen in on the latest interview. Merline Saintil has been appointed to the board of Banner Corporation (NASDAQ:BANR), the parent company of Banner Bank and Islanders Bank. Ms. Saintil serves as Head of Operations for the Product & Technology Group at Intuit. Before joining Intuit, Ms. Saintil served as Yahoo’s Head of Operations for Mobile & Emerging Products. Prior to Yahoo Ms. Saintil held a variety of roles at Sun Microsystems, Adobe and PayPal. 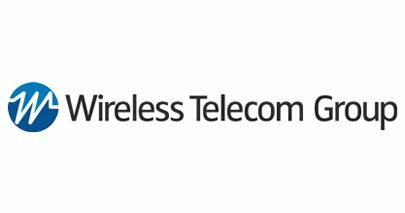 Michael Millegan I Wireless Telecom Group, Inc.
Michael Millegan has been appointed to the board of Wireless Telecom Group, Inc. (NYSE MKT:WTT) a company that designs and manufactures radio frequency (RF) and microwave-based products for wireless and advanced communications markets. Mr. Millegan was President of Verizon Global Wholesale group, a business unit of Verizon Communications. Previously, Mr. Millegan was Senior Vice President and Market President for Verizon’s Midwest Operations and Senior Vice President of their Enterprise/Wholesale business unit. Cheemin Bo-Linn has been appointed to the board of Sphere 3D (NASDAQ:ANY) a cloud-based data management solutions company. Ms. Bo-Linn is currently President and CEO of Peritus Partners, Inc. and previously served as Vice President at IBM where she was responsible for a multi-billion dollar global IT infrastructure, software and enterprise storage business. Prior to Peritus Partners, Ms. Bo-Linn was Chief Marketing and Revenue Officer at NetLine Corporation, a digital marketing firm. Led by an elite faculty , the NextGen Directors Program is an intimate peer to peer learning environment, designed to accelerate the development and placement of the next generation of corporate board members. Mr. White is the chairman of the board of the Directors Academy. He was chairman, president and chief executive officer of Jamba Inc. from 2008 until his retirement. Before Jamba, he held senior executive roles at Safeway, Gillette and Ralston Purina. Mr. White is currently chairman of the board of Adtelem Global Education, executive chairman of Bradshaw International and a director of Panera Bread Company. He was previously chairman of Daymon Worldwide and a director of CallidusCloud and Hillshire Brands. Mr. White is a founding board member of the Directors Academy. Mr. Meyer is the president of the Directors Academy and global head of the CEO & Board Practice at Allegis Partners. Mr. Meyer was founder and managing partner of Park Avenue Advisors and previously was vice chairman and managing partner of the Global Board Consulting Practice and co-leader of the North America CEO & Board Practice at Heidrick & Struggles. Mr. Meyer held a variety of operations, corporate development and finance leadership roles with Exxon and PepsiCo. He was also a member of McKinsey’s global Energy Practice. He has previously been named to the D100 list of the most influential people in corporate governance. Mr. Meyer is a founding board member of the Directors Academy. Mr. Canner is the founder of Incandescent, a firm focused on turning ideas into businesses. He was co-founder and Managing Partner of the consulting firm Katzenbach Partners. Most recently, Mr. Canner was a member of the Management Committee of Bridgewater Associates. He began his consulting career at McKinsey & Company. He is a World Economic Forum Young Global Leader and has initiated and co-leads China 2024, a study of the development of business leaders in China. Mr. Deignan is a retired Baker McKenzie partner and held various management positions at the Firm for over 40 years, including serving as an Executive Committee member. Mr. Deignan has significant experience in the areas of corporate governance and board training. He has served on numerous not-for-profit, privately held and reporting company boards. Mr. Deignan is a Directors Academy board member. Mr. Glauber is a lecturer at Harvard’s Kennedy School of Government. He served as chairman and chief executive officer of NASD (now FINRA), from 2000 to 2006. Previously he was under secretary of the Treasury for Finance from 1989 to 1992 and a professor of finance at the Harvard Business School for 25 years. Mr. Glauber is director at Northeast Bancorp and Pioneer Global Asset Management S.P.A. Mr. Glauber has also served on the boards of Freddie Mac, Moody’s and XL Group plc. Mr. Glauber is a founding board member of the Directors Academy. Ms. Hiles has founded six ventures over the past two decades, including Pathbrite, a leading digital portfolio platform that was acquired by Cengage in 2015. Pathbrite is the largest digital portfolio platform in the market and serves more than five million users. Ms. Hiles most recently founded Imminent Equity, an investment start-up, where she is the chief executive officer and managing partner. She was previously the deputy director, solutions, post secondary for the Bill and Melinda Gates Foundation. She has an extensive track record of raising capital and holds the distinction of having raised most venture capital funding for any African American woman founder. After receiving her MBA from Yale University, she worked in the financial services sector in M&A roles. Ms. Hiles has served on over a dozen boards including Liberty & Justice, a clothing company, and the San Francisco Unified School District. Ms. Hiles is a Directors Academy board member. Mr. Williams is the co-leader of the North America Board Practice of Allegis Partners. He is a member of the board of directors for Essendant and Compass Minerals. He currently is the Compensation Committee chairman for Compass Minerals and the Nominating and Governance Committee chairman for Essendant. Mr. Williams is also the president of the Chicago Chapter of the National Association of Corporate Directors (NACD). He has served as the lead independent director of State Auto Financial Corporation, as well as the Compensation Committee chairman and CEO Search Committee chairman for Bob Evans Restaurants. Mr. Williams served for several years as executive vice president, chief legal officer and secretary of Cardinal Health, a Fortune 20 company. His career began as a corporate and securities associate with the law firms of Gibson, Dunn & Crutcher and Vorys, Sater, Seymour & Pease. Mr. Williams is a Directors Academy board member. Ms. Williamson has over three decades of experience auditing public companies as a partner of Ernst & Young. In addition, she served as senior vice president, finance and corporate controller of Marriott International and chief financial officer of AMX Corporation. While at EY, Ms. Williamson served as the Americas Inclusiveness Officer, a member of its Americas Executive Board and head of the Center for Strategic Transactions in the southwest region. Ms. Williamson has served on numerous public and private company boards, including Annies, CSRA, Cushman & Wakefield, Energy Future Holdings, ITT Exelis, Janus Capital Group, Pentair plc and XL Group Ltd. Ms. Williamson is a Directors Academy board member. Ms. Wolf is a managing director in the CEO & Board Practice at Allegis Partners and the program director for the Outstanding Directors Exchange (ODX), a Financial Times conference series for public company directors. In her role, she works with FT journalists, governance experts and sitting board leaders to set the agenda and engage speakers for ODX events in the US, Europe and Asia. She also runs the Outstanding Directors awards program, which has recognized exemplary independent board members annually since 1998. Prior to joining the FT in 2004, Ms. Wolf spent 15 years in management consulting, including eight as a principal at Capgemini. She began her career at Aon Hewitt. Ms. Wolf is a Directors Academy board member. Our Advisors advance the Directors Academy mission through the sponsorship and participation of high-performing senior executive talent and access to future board opportunities. Success! Thanks for contacting Directors Academy. Someone will be in touch soon. Sorry, you need to complete the form to continue.